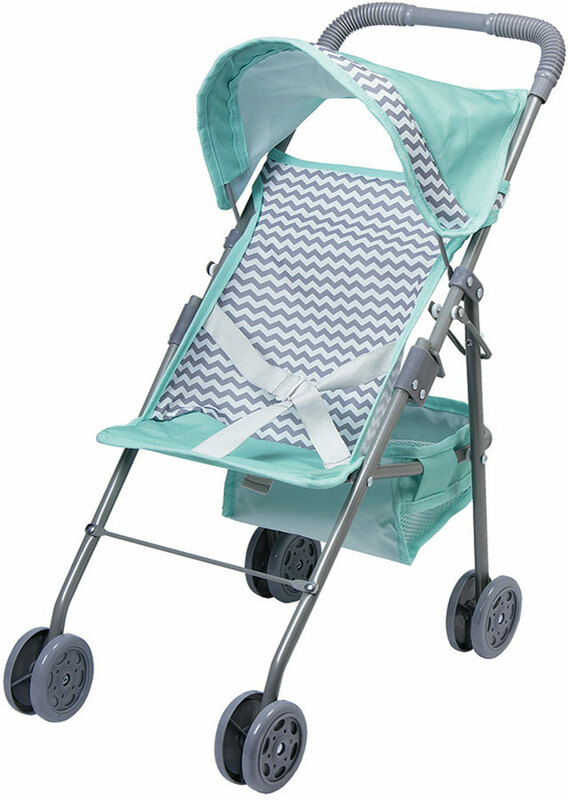 A gender-neutral zig zag design gives this piece grown up sophistication – something all new parents love. First-rate design, detail and quality. 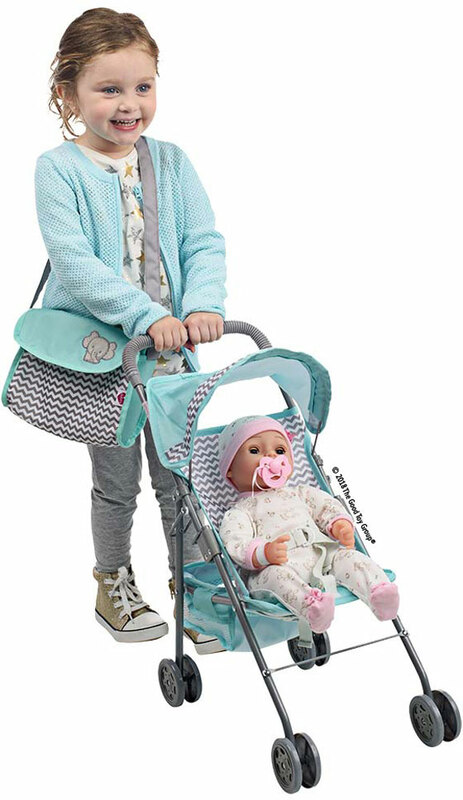 Stroller fits dolls (and stuffed animals) up to 20" long. 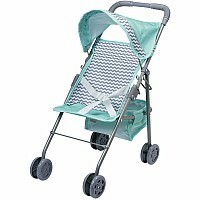 For ages 3-7 yrs, from Adora Play.